In 2017, more than 65,000 Americans died from an opioid overdose. Millions more suffer from opioid addiction. What can be done? What is the impact of opioid addiction in America and what can we do about it? 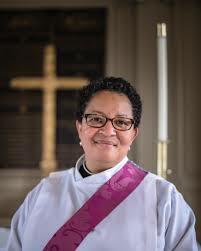 The Rev'd Jan Brown of the Diocese of Southern Virginia has personal experience with the impact and believes the Episcopal Church can and should do more. Here is Brown's presentation and a link to a video she showed, so you can follow along as you listen. What is the science behind opioid addiction and what does that tell us about the prospects for controlling it? Epidemiologist Andrew Bergen, whose research focuses on substance use disorders, explains.